Clichés in the sports world get tossed around like LOLs on Facebook – with very little effort. Make no mistake, there is nothing cliché about Roger Dixon Jr. He’s a driven young man who is beating the odds through hard work and dedication. Dixon is in the news this week because the former Seminole High School graduate earned a football scholarship as a walk-on at the University of Florida. Gator head coach Jim McElwain made the announcement at the end of practice Friday. The team responded by mobbing Dixon and five other walk-ons who earned scholarships with high fives, hugs and back slaps. Folks in Sanford know Dixon as RJ. You would sometimes see RJ at City Hall when his dad, Roger Dixon Sr., serverd as deputy city manager in the early 2000s. He grew up to be captain of the Seminole High School football team, and graduated in 2011. He was a talented athlete with good grades, but at 5’10” 185 pounds, he was small by major college football standards, even as a wide receiver. “Several coaches told me that I played as well as some of the top players, but they weren’t sure how I would hold up physically against the bigger guys,” said RJ. He accepted an academic scholarship to Stillman College in Tuscaloosa, Ala., and joined the football team. He not only made the Dean’s List, he was named offense of player of the year as a freshman. An ankle injury forced him to sit out his sophomore year and gave him time to think. He was a ‘Nole at Seminole High School, but he was raised on Gator blue. That’s where he really wanted to go to school. 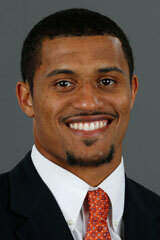 His dad ran track at the University of Florida and his mom, Tammy, is a Gator Alum, as well. RJ also wanted to try make the Gator football team as a walk-on player, a Herculian task considering that only a handful of walk-ons (non scholarship players) make the team at schools like Florida . It would not be an easy transition. He had to get accepted into UF. Despite being on an academic scholarship and making the Dean’s List at Stillman, RJ had to prove himself by taking classes at Santa Fe College in Gainesville. He spent the spring of 2013 studying, leaving the books only to work out. It paid off when he earned a perfect 4.0 at the end of the spring semester. Florida Gators wide reveiver Roger Dixon during the 2015 Orange and Blue Debut. April 11th 2015. Gator Country photo by David Bowie. 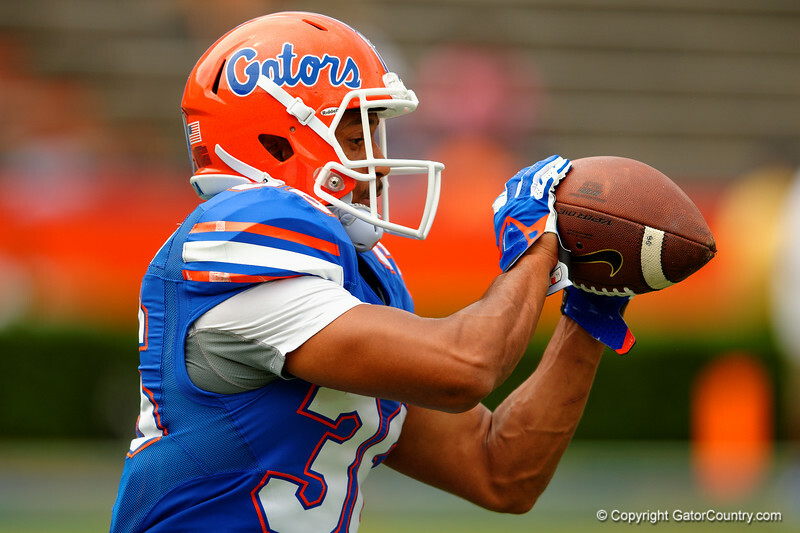 With his entrance into UF secured, RJ began focusing on football. He participated in voluntary workouts with some of the Gator players during the summer. He also showed up a day early to walk-on tryouts to watch the scholarship players run through their drills, so he would be familiar with how everything worked. During the season when the scholarship players showed up for workouts at 6 a.m., RJ arrived at the weight room at 5:30 a.m.
“I wanted the strength coach to see I was serious about making the team,” said RJ. And when the team went on the road to play other universities, RJ snuck into the football building to watch film and work out. By spring 2014, he earned a spot on the scout team and continued to work hard on the field and in the classroom. By the fall was making a name for himself. He started the final six games of the year on special teams, and won the Most Valuable Special Teams Scout Team Award. Football analysts expect RJ to play a key role on the Gator special teams, but RJ doesn’t plan to leave anything to chance. He taught himself how to long snap for punts and extra points, which is not the usual skill set for a player his size. RJ has not only succeeded in earning a scholarship the hard way, he’s also overcome a hearing impediment. He was born tone deaf, and can’t hear words that have “ch” or “s” sounds. He also can’t hear certain frequencies, like a referee’s whistle. He says his hearing impediment has actually helped his game because in many situations he has to use his eyes rather than his ears. “I’m always working on my reaction time and my speed, because I’m always starting from behind. I’m never behind at the end,” he said with a laugh. An economics major with a 3.0 grade point average, RJ will graduate in December. He has aspirations of playing in the NFL, but he does have a backup plan. Regardless of what professional football holds for him, RJ plans to get a masters degree in finance or business management. In fact he’s hoping to go to the Wharton School of Finance in Philadelphia. “I was born in Philly, so maybe one day I’ll end up being the general manager of the Philadelphia Eagles,” said RJ. I wouldn’t bet against the kid.